Chris and I returned from Europe three weeks ago and I have yet to post anything from the trip here! I finally found a moment this weekend to start to catch up on things, and I’m starting with the very beginning (sing it with me: “…a very good place to staaart“) of our two week European trip with Vienna, Austria. 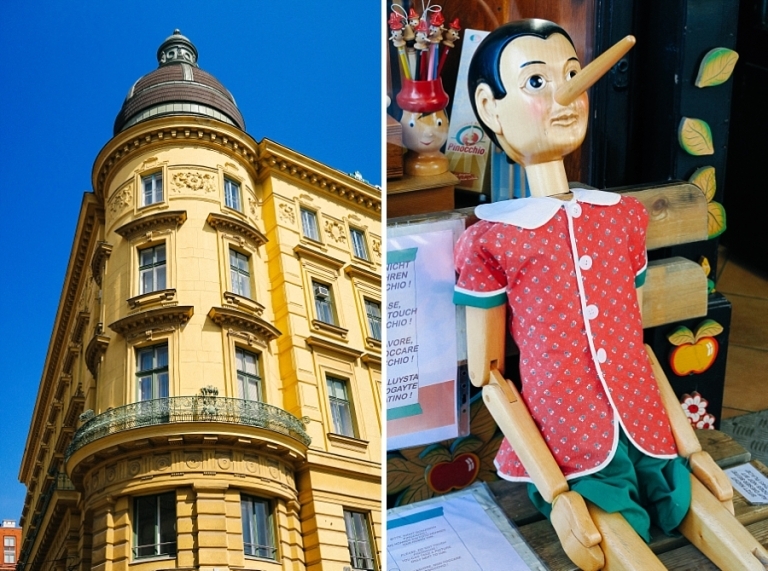 This whole trip all started with Chris’s inkling of attending Oktoberfest, and before I knew it, I had added three other countries to a two-week itinerary. I wonder how many European trips get planned like that? With everything in such close proximity it’s so easy to say, “Well, if we’re in Munich, we’re so close to Austria…and ooo, Prague isn’t far away either. 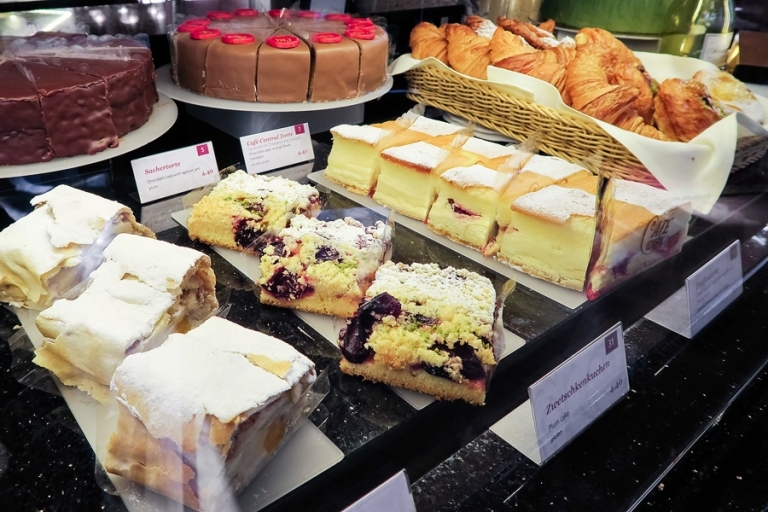 It’s a direct flight to Vienna, so we we might as well sneak over to Slovakia…” and so on. 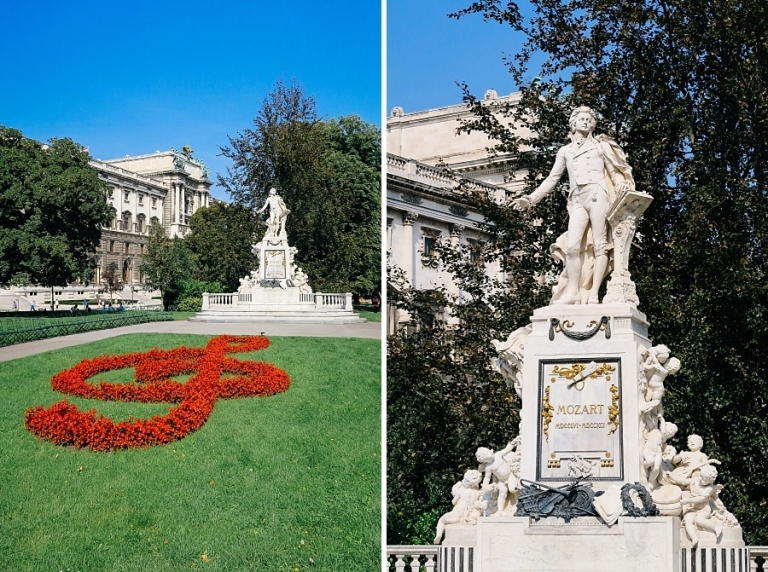 Despite my love for music and baroque architecture, I confess I didn’t fall head-over-heels for Vienna the way I did with a few other cities on our two-week European trek. Maybe it’s because we picked Vienna simply for the direct flight from Washington-Dulles, or maybe it has to do with our jet-lagged state in which we wandered the streets. We still had a wonderful time exploring the capital though, and if I’m able to return for a longer period of time someday, perhaps Vienna will end up wooing me after all. I did love all of the statues and ornate details on nearly every corner. And we had gorgeous albeit hot weather. Knowing full well we would be completely exhausted and all too tempted to curl up for a nap in our hotel, I scheduled a walking tour for the first day as the perfect way to beat our jet lag. And what better tour to book for two photographers than a Polaroid Photo Tour where we see the sights with instant cameras in-hand. Formerly known as the PolaWalk, the tour gave us an instant (pun intended!) 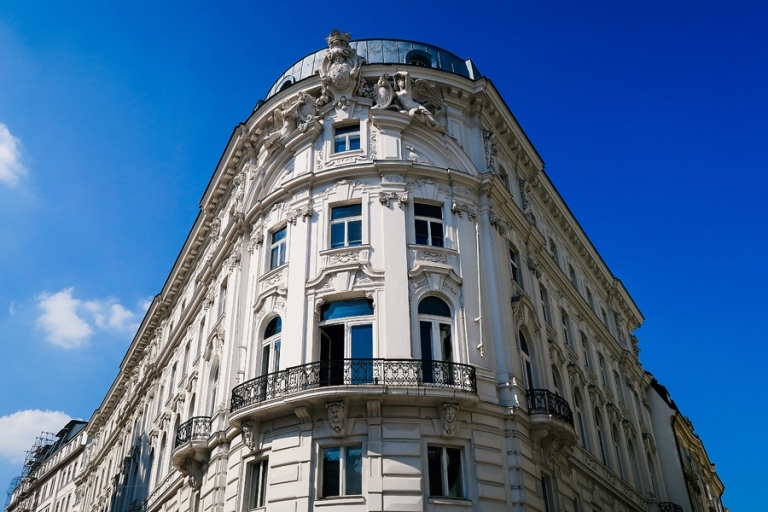 feel for the city by introducing us to major sites such as Karlskirche, Staatsoper, Hofburg and Heldenplatz, and also a few nooks and crannies we might not have noticed on our own. For 55 euro, I wandered around with a vintage Polaroid instant camera and a pack of The Impossible Project instant film, taking in the scenery and composing instant memories. Chris opted for the no-camera ticket (25 euro) so that he could document Vienna with his own SLR. It’s a nice option for anyone who simply wants to join the tour sans Polaroid. I actually ended up using my SLR, my point-and-shoot, and my iPhone in addition to the Polaroid camera like a crazy person. I’m sort of a documentation nut, but I’m just mentioning this to point out you are welcome to use cameras on the tour other than the Polaroid. Another confession: we didn’t make it to the end of the tour! I didn’t even shoot all eight of my instant films. Not only were we still on Virginia time, it was over 90-degrees that day and it was too hard to stay hydrated. Chris and I hung in there for a good two hours, but the tour ran a bit longer than that and we simply couldn’t hang. But we thoroughly enjoyed our time with our sweet guide, Teresa, and the rest of the group, and I love my little collection of Polaroid snaps (which I lazily photographed for you with my iPhone, above). We ended our day with nothing other than wienerschnitzel, local beers, and apple strudel at Augustiner Keller before crashing into our hotel bed at about 8pm. And that was Vienna! We stayed two nights, but we dedicated the next day to seeing Bratislava, Slovakia (up next on the blog). 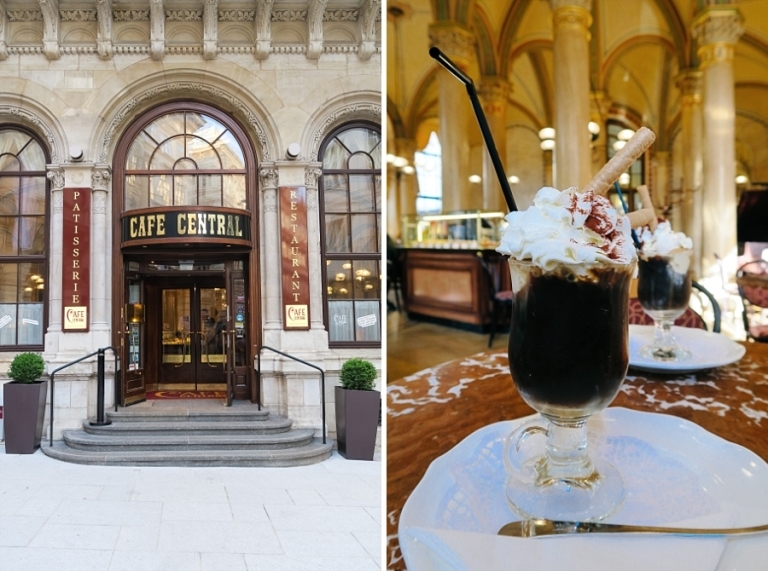 Before leaving Vienna though, I couldn’t say no to another visit to Café Central to try Sacher Torte for the first time. Verdict: amazing. Stay tuned for a barrage of posts as I cover our foray into Slovakia, more of Austria, then Germany, and finally Czech Republic! Lares Adventure – Day 7: Machu Picchu!